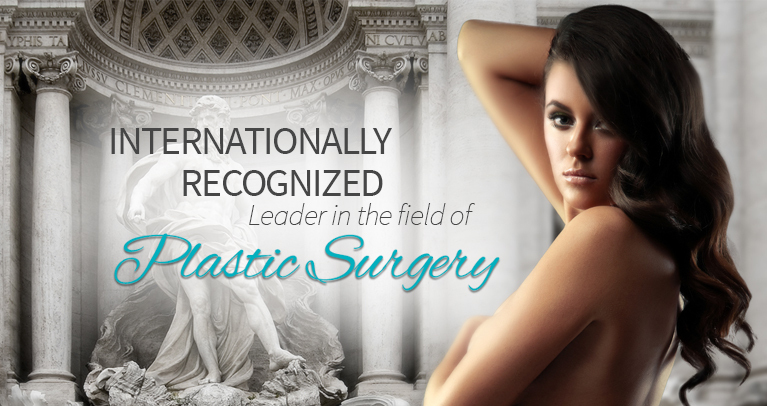 Dr. Mark Richards is an internationally recognized leader in the field of cosmetic plastic surgery. He has been singled out by the Consumer's Research Council of America every year since 2002 for inclusion in their Guide to America's Top Surgeons. Patients travel across the U.S. and from around the globe to take advantage of his skills and expertise in plastic surgery. Dr. Richards is committed to ensuring every one of his patients receives the most effective, compassionate care. He is known across the nation for his success with a range of procedures, including facelift, breast augmentation, body sculpting, and plastic surgery for men. Did you know? A cheek lift can bring shape and fullness to multiple facial features! Often combined with a facelift, a cheek lift can improve the overall look of your face for a smooth and healthy appearance. Dr. Mark Richards recommends the cheek lift as one of the most beneficial and cost-effective ways to reduce signs of aging. What can a cheek lift do for you? Do you want firm, beautifully toned arms? With a minimal incision arm lift, a technique Dr. Mark Richards excels at, you can discreetly tighten and improve the appearance of your arms. Get ready to say goodbye to sagging skin! With a facelift, you can achieve a revitalized, refreshed look. Renowned for his skill with facelift procedures, Dr. Mark Richards is able to provide his patients with excellent, natural-looking results. Enhance or improve the appearance of your breasts through augmentation, lift, revision, or reduction surgery. The results of a breast surgery can often boost confidence and improve quality of life. Dr. Mark Richards works closely with his patients to ensure their individual aesthetic goals are met. Have you heard about NovaThreads? This advanced and affordable non-surgical facial rejuvenation technique is designed to lift and smooth the skin in virtually any area—and it works particularly well on the face, neck, and jawline. If you’re bothered by fine lines, skin creases and inelasticity, or sagging facial features, NovaThreads can help you improve the appearance of these common signs of aging. NovaThreads slide easily under the skin, lifting tissues and stimulating collagen production. No cutting or surgery is necessary. Call or email today to find out if NovaThreads is right for you and your goals. I have suffer hypothyroidism for over 15 years. I have spend alot of money on finding a solution to help me feel better even though I’m on thyroid medication. Started post menopausal at the age of 31. I was refer to Dr. Richards for bio-identical hormone therapy. The staff was fantastic. My experience was very pleasant. As far as for my health, it’s been a huge improvement. A better quality of life for busy people like me.